Love the beach? Love nature? Love being in unspoilt territory? Then Labuan Bajo is next on your list. If you’ve never heard of this Asian paradise in Flores, Indonesia, it’s not too late to learn about it now. 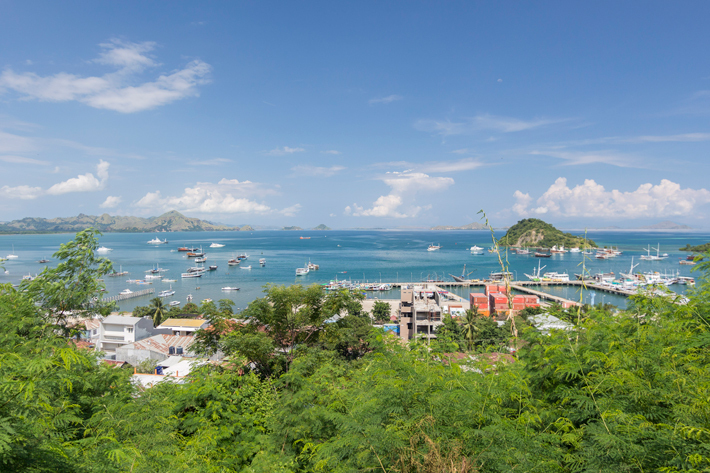 Labuan Bajo is part of a larger region in Indonesia, called the Flores. They are most famous for the Komodo dragons that reside in the national park, and is a popular diving and snorkelling spot, no part due to the crystal clear waters and abundant marine life. In my earlier post, I shared how the Flores region in Indonesia comprises of islands with landscape views that are out of this world. The views are almost comparable to my trip to the Maldives, with small islands and atolls, except you’re more immersed in the ruggedness of being in nature, and without internet connection. Here I share the ultimate guide of getting around Labuan Bajo, things to do in Labuan Bajo and the various islands around Flores to visit. You’ll come out of this post with a better idea on what to do in Labuan Bajo. I want a FREE travel expense sheet template! Labuan Bajo‘s airport is named after its prized animal, the Komodo dragon – Komodo Airport. It is accessible by several local flight carriers such as Garuda, Transnusa and Wings Air. 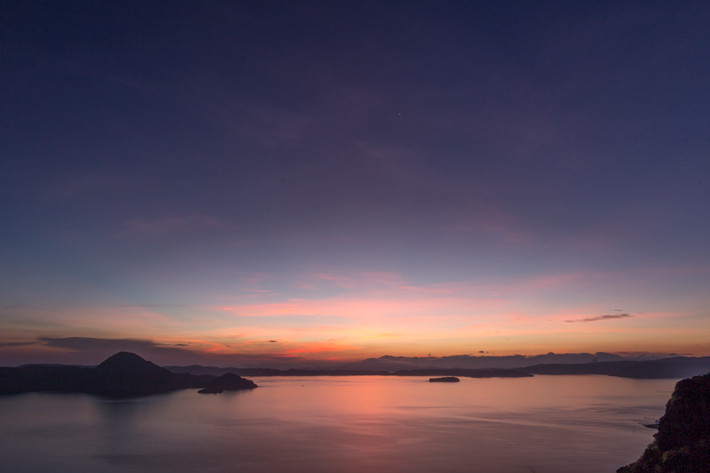 To get to Labuan Bajo, take a direct flight from Denpasar, Bali to Labuan Bajo. Otherwise, other major Indonesian airports fly here too. A two-way ticket can cost as low as USD160 from Denpasar. 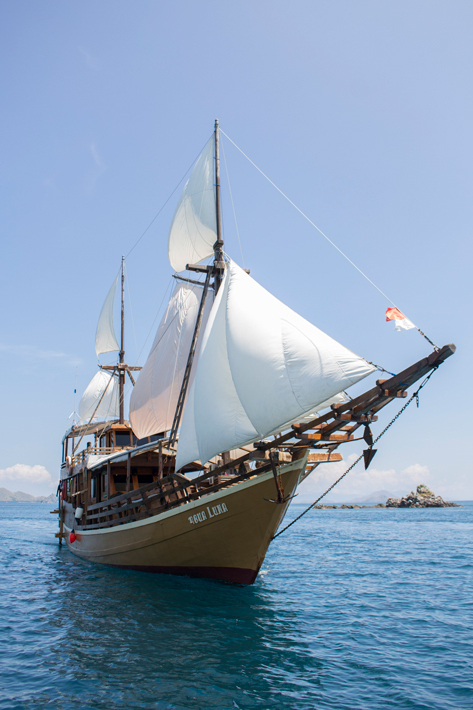 Alternatively, there are boats or ferries departing from Kuta, in Lombok, to Labuan Bajo. While this can be an eventful experience, it takes more than a day to reach Labuan Bajo, inclusive of the bus ride transfers as well. 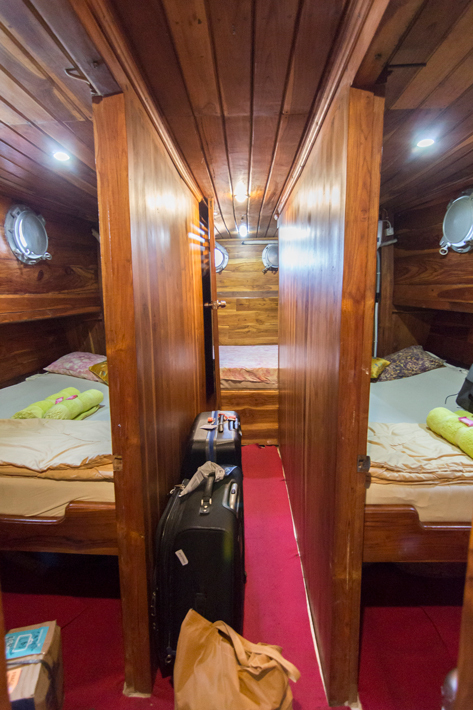 I stayed in a Phinisi boat in the 3D2N that I spent moving around the islands – not quite the typical Labuan Bajo hotel you’d expect. While not the most pristine condition to live in (I had to shower from the bidet in the toilet), the captain and boat members did their best to ensure we had a comfortable stay. More about the tour at the end of the post! I didn’t quite like the bunk beds as I found it too stuffy and small, so I slept on the deck at night, lulled to sleep by the gentle rocking of the boat. I did, however, enjoyed the view of the Flores while cruising from island to island, and the the feeling of the salty wind tangling my hair. 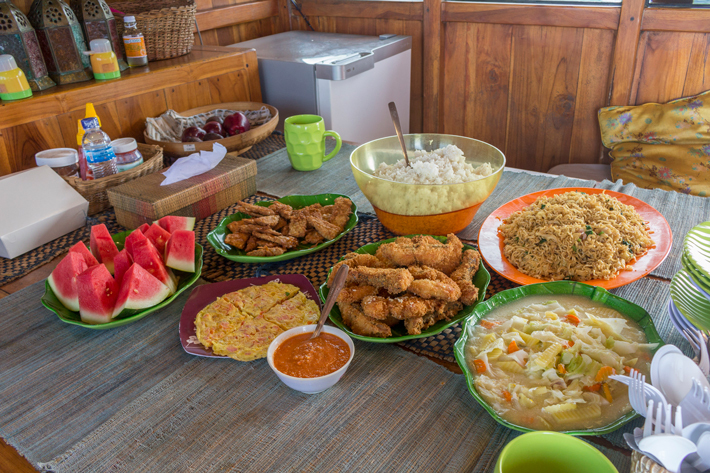 If being based in Labuan Bajo is what you’re looking for, read my 9 best hotel recommendations in Labuan Bajo, Flores, Indonesia for your perfect stay. 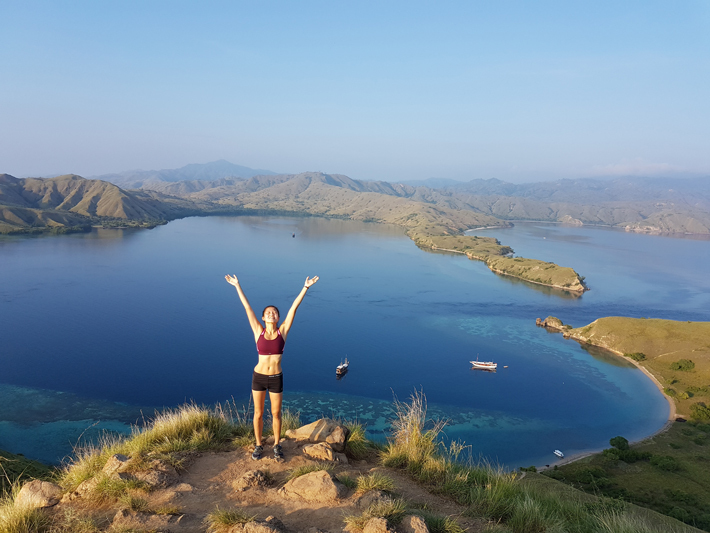 Komodo National Park is an amazing experience for everyone, a totally different one from mainland Bali, and a definite top Labuan Bajo attraction! 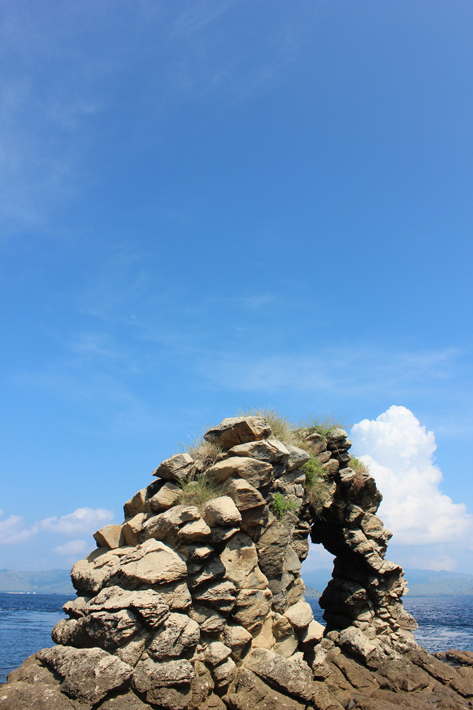 The park consists of 3 islands – Komodo, Padar and Rinca Islands. Komodo National Park is also a UNESCO World Heritage Site, dedicated specifically for the protection of the Komodo Dragon, which is unique to this region, as well as other marine species, such as the Pygmy Seahorse, Whale Sharks, ad Eagle Rays among many others. The island has a hot and dry climate for most parts of the year. You can expect luscious brown grass, over a metre high, making you feel as though you’re walking through a savannah. You can also hike to the top of the hills on the island to get a breath-taking view of the entire island. You will need to pay a fee to enter the National Park. If you’ve seen the news about how a Singaporean got bitten by a Komodo Dragon earlier this year, you’ll know better than to roam the park unguided. Always have one of the experienced guides on the park to bring you through the park. Not only that, but you can also go on adventure dives in Komodo National Park! You can get to Komodo National Park by boat from Labuan Bajo, Bima or Bali. Get an EXCLUSIVE 5% OFF when you book with the code "belaroundtheworld"! A quiet town near Komodo National Park, this village is home to mainly fishermen. Upon arrival to the village, you will notice many wooden stilt houses line up along the waters and on land itself, meant to prevent the Komodo Dragons from entering the houses. The village is also set in a very traditional environment, giving the area a very homely feel. There is a limited number of facilities there, such as a mosque and a school. 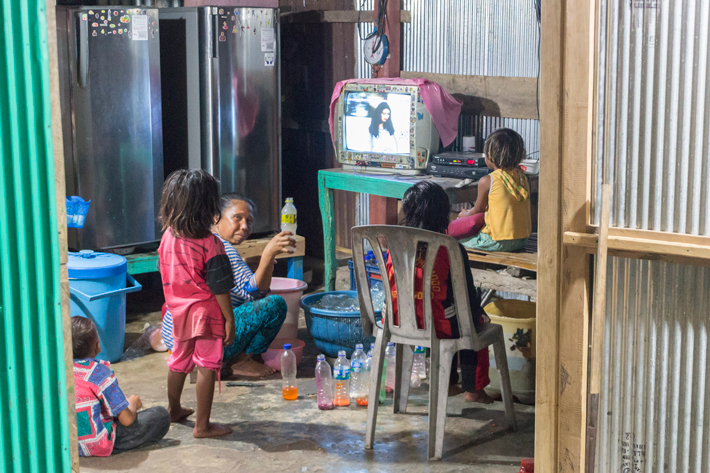 This village gives insight to the local hospitality and life. Here, you can learn how the villagers, also known as the Komodo Tribe, live. The warmth of the villagers can definitely be felt from seeing their faces light up and when you wave hello. To reach Komodo Village, the fastest way is to travel by boat from Labuan Bajo. You could also get here from Bali, however, you will need to pass through a series of ports first, which can incur more time and cost. This island is a must visit for those who love nature and great views. The island is known for its beautiful curved beach, surrounded by majestic, green hills overlook it. Every angle of the island is a picture-perfect moment that you wouldn’t want to miss. The hills and terrains are covered in bushes and waist-high grasses, making the region look like a dry savannah. Here, you can trek through the island depending on your proficiency level. However, the view from the top is one that is impossible to forget, and is one of the famous photo-taking spots on the island. It is not very suitable for young children to climb the hill as the ground is uneven, rocky, and even slippery when wet. Nonetheless, the trek upwards will definitely be worth your time and efforts! Besides that, you can even go for a dive or snorkel in the clear, blue waters, alongside fishes and marine animals. Many other tourists visit the island to take photos as well, be it on the hills or along the beach, so don’t come empty handed; be sure to bring your camera and spare batteries just in case. The fastest way to get to Padar Island is by a boat from Labuan Bajo, which roughly takes about 2-3 hours. Don’t these Komodo dragons look harmless? Rinca Island is a small island off Komodo Island and Flores Island. It is the biggest of the 3 Komodo National Park islands. As such, most tourists come to Rinca Island to catch a glimpse of the Komodo Dragon, an animal that can only be found in this region. On top of that, Rinca Island is one of the most accessible islands from Labuan Bajo, thus making it a convenient destination. Apart from that, there are many other wildlife animals that tourists can expect to see here, such as water buffalos, macaque and wild boars, amongst many other animals. Bring your cameras so you don’t forget a single moment! To get to Rinca Island, you can take a boat from Labuan Bajo port that roughly takes about 3 hours to get to Rinca Island. Flores is renowned for the Pink Beach, so you can imagine the excitement I felt when I knew this beach is part of our itinerary. 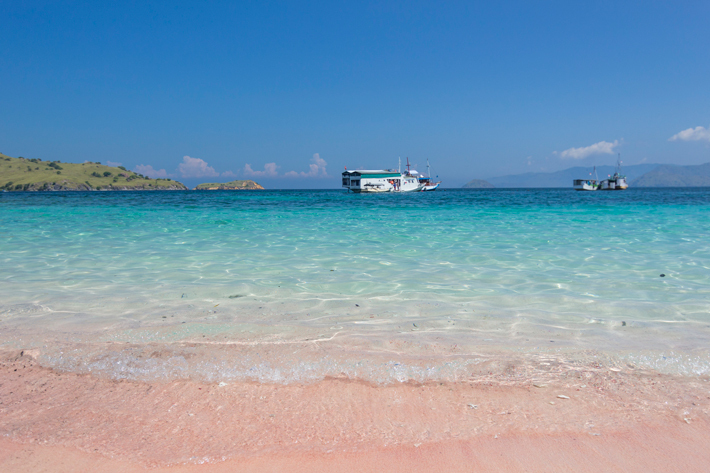 The Pink Beach near Komodo Island is one of the many magical wonders this region has. This beach is pink in colour due to the presence of a microscopic animal called Foraminifera, which produces a red pigment on the coral reefs. As the pigments mix with the white sands on the beach, it forms a beautiful pink shore, which has attracted many visitors from all over the world to visit it. Located on the west of Flores island, the Pink Beach offers stunning panoramic views of the serene, blue seas, fantastic, clear skies, and amazing pink sands as you stand from the hills on the island. There is a range of activities that you can do here, which includes diving, snorkelling, water sports such as kayaking, swimming in the nearby waters, hiking up the hills, or simply strolling on the beach. There is always something for everyone to do on this amazing island. You can take a boat from Labuan Bajo port towards Komodo and stop directly at Pink Beach. Gili Lawa, also known as Gili Lawa Darat, is an island located north east of Komodo Island. The island is home to lush green grass that can grow up to 1 metre high. It is almost like a savannah, especially during the dry season when the grass turns brown. This island is perfect for those seeking to catch a perfect sunrise or sunset from the hills, so come prepared with your cameras. Other popular activities include diving due to the beautiful aqua waters around the island, allowing divers to catch the coral formation near the seabed. You can even dive at night! Finally, a trip here will not be complete without a trek up to the top of the hills, where you will be treated to magnificent views of the whole island and surrounding islands. 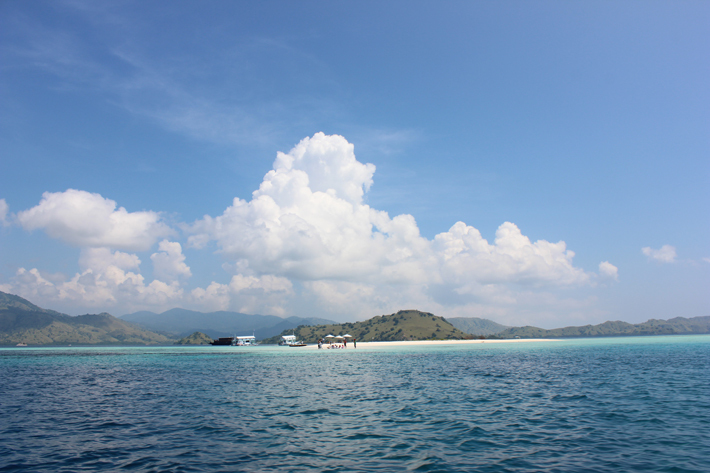 Again, you can reach Gili Lawa from Labuan Bajo by boat. The trip will take about 3 to 4 hours long to Gili Lawa. Batu Bolong is a fantastic venue for visitors seeking to dive. It is located near the centre of the Komodo Straits. The tranquil blue waters under the clear skies makes the dive site an attractive one for many. Divers can even go as deep as 60 metres down! Be in awe of the diverse marine life present here as you swim alongside the sharks and sea turtles. As you dive deeper, you will get a glimpse of the beautiful coral life on the seabed. A word of caution: Be careful of the sharp corals and rocks! I got cut here pretty badly while snorkelling. Batu Bolong is also a short boat ride away from the main Komodo Islands, which makes it a convenient location for visitors to visit the island. Otherwise, you can take a boat ride from Labuan Bajo. It will take approximately 2 hours in total. Always wanted to have a private beach moment? You can hold a private lunch by the beach in Taka Makassar! Taka Makassar is an atoll, akin to a very tiny island, situated close to Komodo Island and Manta Point. Many visitors have expressed their happiness over their trip to this island, stating that it is a fantastic spot to snorkel or dive with the different kinds of marine animals, such as the sea turtles, jellyfishes and starfishes, to name a few. Apart from that, you can have a relaxing time on the beach. Enjoy the calm, blue waters crashing against the shore as you sit on the beautiful, soft sand. You can also enjoy a swim in the waters close to the beach. However, be careful of the jellyfishes during your swims as there have been cases of jellyfish stings. Also, the best time to visit the island is during the low tide so that the atoll is more visible! You can get there by boat from a nearby island, Manta Point, and the journey will take approximately half an hour. 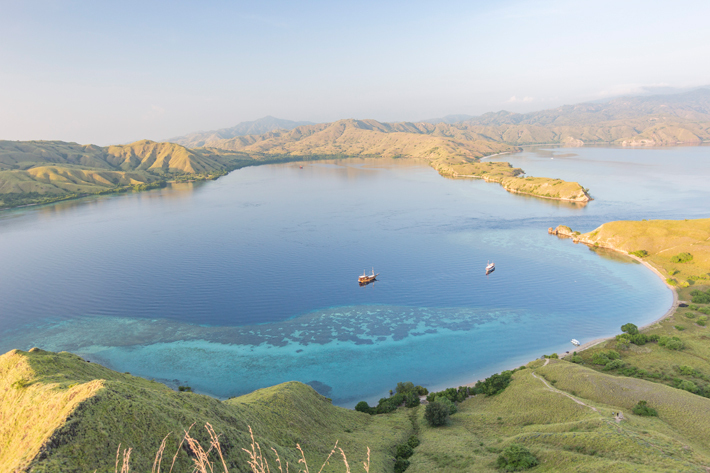 Alternatively, you can take a boat ride from Komodo Island, which will take significantly longer to get to Taka Makassar. Approximately 1.5 hours away from the Labuan Bajo port, Kelor Island is home to beautiful, colourful fishes, white sand beaches and amazing blue waters. The island is famous for its breathtaking ocean views as well as its wide range of hiking trails. You can also commonly find couples spending a weekend together due to its serenity. 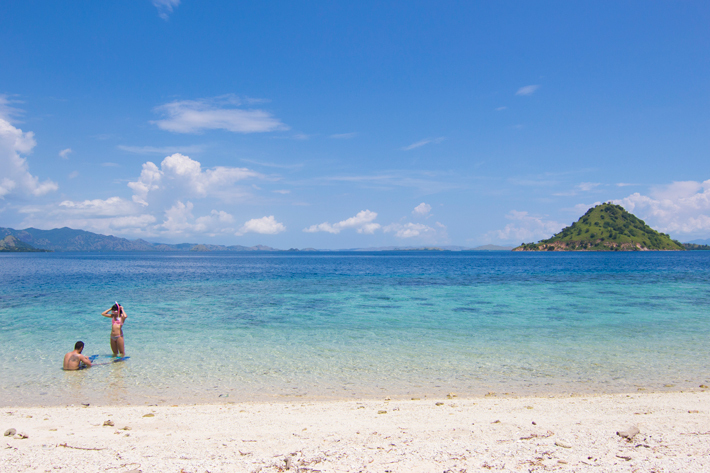 Being an uninhabited island, Kelor Island is known as an untouched, tranquil island, locked away in the Flores region. You can do lots of activities here, including hiking the hills, swimming in the clear, blue waters and even taking photos of yourself against the picturesque backdrop. Caution: The terrain may be rocky and uneven as you walk through the island, especially if you are hiking. You can also choose to snorkel and swim alongside the fishes, which is a popular activity among tourists. The easiest way to get to Kelor Island is by getting on a boat from Labuan Bajo port, which will bring you directly to Kelor Island within 1.5 hours. Try to get there early so that you can spend the day unhurried. Whether you’re travelling with family, friends or your loved ones, Kelor Island is an exciting and worthwhile choice for everyone. As you can see, many of these islands are perfect for snorkelling and diving. The options are endless, and depending on your trip duration, you can explore all of them, or some of them. I went with Flores Komodo Tours, along with some other journalists from around ASEAN. Frederick, Andry and Oyan, who led the Labuan Bajo tour with us, were incredibly nice people, and I missed them so much even in the short time I spent with them – 3D2N. They were extremely helpful and assisted us in anything we needed help with. The local people are not very versed in English, and most of the roads in Labuan Bajo are not paved well. Word is not yet out about this gorgeous, sunny paradise. Part of me wish it’d stay this hidden, but another part of me wish you would experience this first-hand yourself! 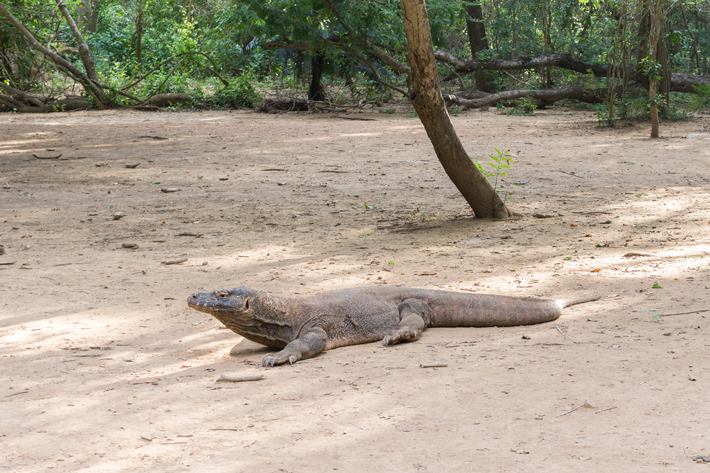 You can also book this Walk With Komodo Dragons on a Komodo Island Tour (3D2N) with Voyagin. I’ve partnered with them to offer YOU an exclusive 5% off when you book with the code “belaroundtheworld”! If you need more information on what to do in Labuan Bajo, don’t hesitate to drop a note below! I’m thrilled to have visited this secret paradise, and I would love to let you experience it yourself too! Summer Packing List – All You Ever Need for Every Summer Holiday! Special thanks to Wonderful Indonesia and Flores Komodo Tours for making this trip possible! All opinions remain my own. Padar and Kelong island both look stunning. I was in Gili last year but never made it to see the kimono dragons. Labuan Bajo looks wonderful, I would like to see it when I next return. Komodo dragons make me think of Godzilla movies! They are so creepy and I think I read that their bite has certain germs that make their bite particularly dangerous. They are the stuff of nightmares for wimpy people like me! LOL! Having said that, though, I would not miss the opportunity to visit this wonderful place. Your photos are gorgeous (love that pink beach!) that boat you stayed in looks like such an incredible experience. I love that they have Komodo dragons here! Plus, that food looks fabulous. I have heard so much about Labuan Bajo, but haven’t got the time to head there yet. Gili Lawa ranks high on my list. I like your idea of staying at the Phinisi boat. Cheers!! 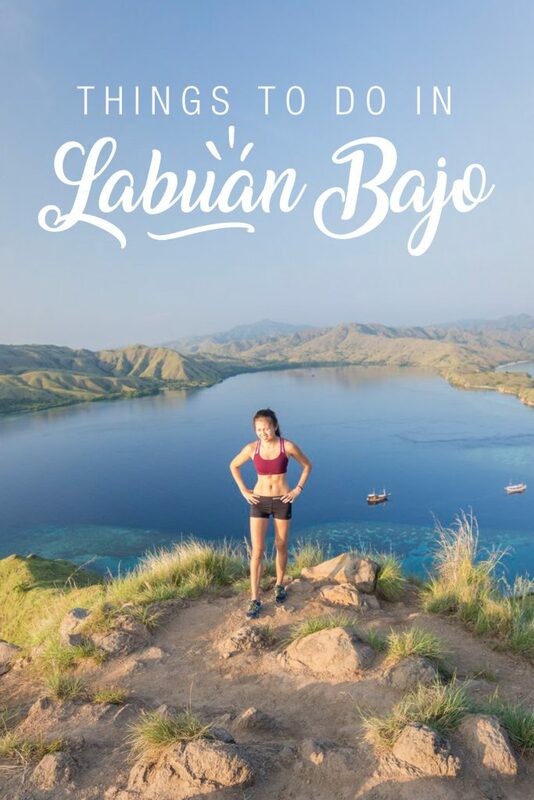 There looks like there is so many great things to do in Labuan Bajo, I especially like the view from the hike in Flores. That is the type of activities that I like to do. Kelor Island and Kimono Island sounds looks like paradise. Labuan Bajo sounds amazing! I often hear about Yogyakarta or Bali when reading blogs about Indonesia. This is definitely something to consider in on my future travel to Indonesia. You opened my eyes to a few more options!